Carter is a traditional drum silhouette with details galore. 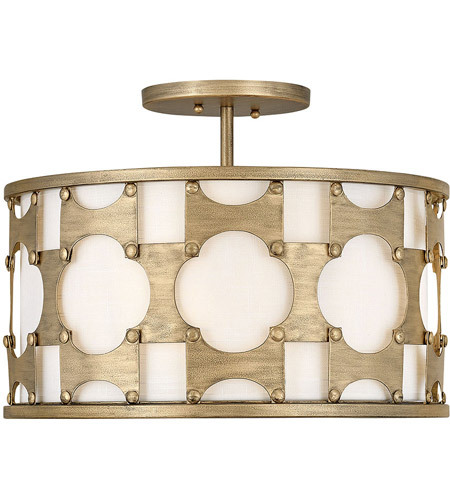 An intricate, hand-riveted pattern in Burnished Gold encompasses the off-white textured fabric shade. A decorative candle cluster bursts within to further enhance this dynamic design.